Adherent believed to be Russia’s first to achieve movement’s goal. Muscovite Andrei Filin, a follower of the informal Russian Pastafarian Church of the Flying Spaghetti Monster, became the first person in Russia to get his driver’s license wearing a knitted colander in the photo, an attribute considered to be indispensable to the community. Filin discussed his achievement on Twitter. “The first license with a colander in Russia! What a great day!” he wrote. It is clear from the photo that the driving license was issued by a Main Directorate for Road Traffic Safety office in Moscow on January 9, 2016. 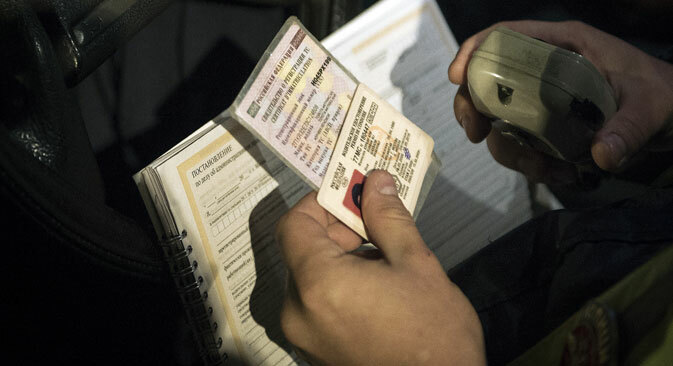 A reliable source from the capital’s security agencies confirmed in an interview with RIA Novosti that such a license was actually issued since it is recorded in the official database of Russian drivers. According to the Pastafarian church’s website, the man had to argue with inspectors to get his driving license with this photo. According to a RIA Novosti source, officials had to give Filin his license with such an unusual photo because of a gap in Russian legislation, which allows deviation from the common rules for followers of religious movements. According to the source, in that document there is no mention that people have to prove their religious affiliation. That is why policemen had to take the photo featuring the colander upon the man’s request. RIA Novosti has not received an official comment from the Main Directorate for Road Traffic Safety.